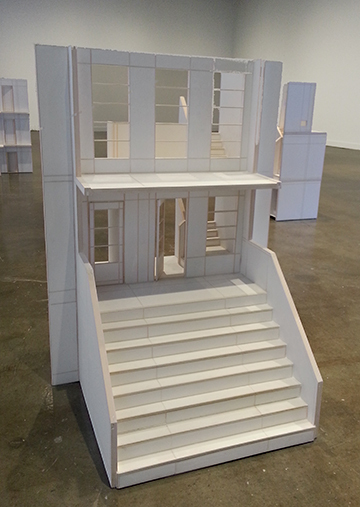 Katrín Sigurdardóttir‘s installation of very small houses at MIT’s List Gallery is a stunning doorway into the world of memory, and an individual’s perception of home. The houses are grouped into two series: Ellefu (“Eleven” in Icelandic) and Unbuilt Residences in Reykjavik 1925–1930. “Eleven” consist of eleven segments of the artist’s childhood home (one of which is shown at top). The models are reconstructed from basswood and plaster, and serve as physical souvenirs as well as signifiers of the particularities of lived experience filtered (faultily, or partially) by memory. Fault lines exist more noticeably in the second series (Unbuilt Residences). These architectural models have been burned, dropped, and otherwise damaged. Their cracks are, in some cases, visibly patched, while in others the shattered walls are left bare and gaping. At the MIT List Visual Art Center until April 12. 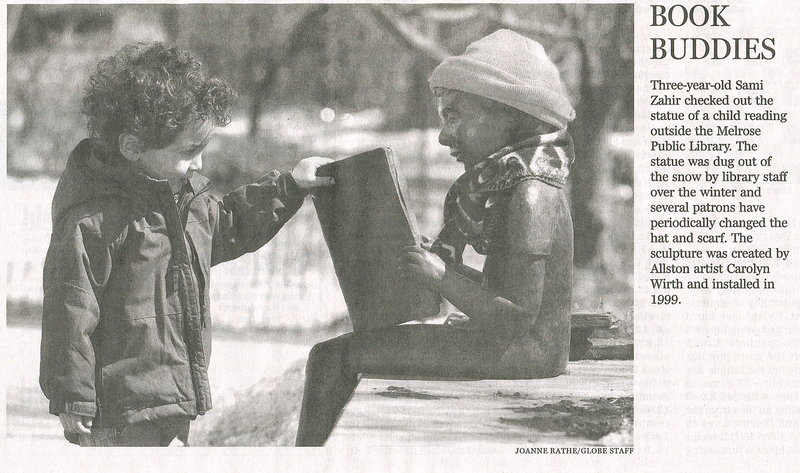 Fifteen years ago, I completed this lifesize bronze child reading books for the Melrose (Mass.) Public Library. Since then, a friend in Melrose occasionally sends photos of the piece in curious situations. I couldn’t resist sharing this one. 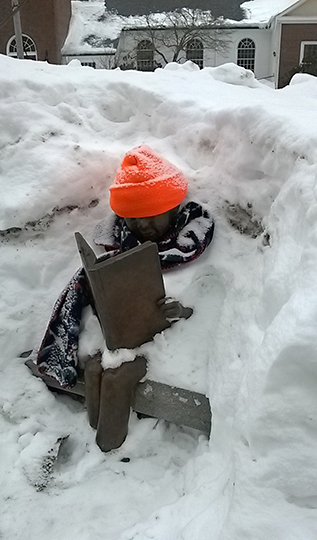 With about 100 inches of snow still mostly on the ground in the Boston area, kids visiting the library not only dug out the sculpture but put a hat and scarf on it. Nothing deters a dedicated reader! Thanks to Kelly Paulson and family for keeping me up to date.